Q. Where is Wilson 573? 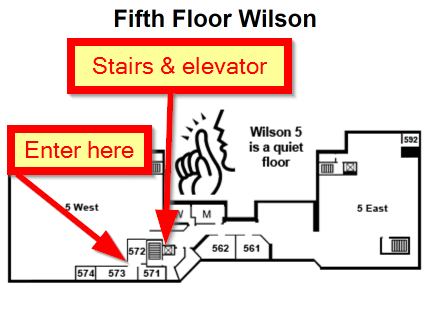 Please note that Wilson 573 is strictly a space for use by Libraries staff (including student staff). It can be located on the fifth floor, west wing, of Wilson. Coming out of the south central elevator or stairs take two lefts and that will get you there.